New Tech: Circle The Wagons, Siemens Is Moving West! C&E Is Now A Local Distributor For Siemens Automation Products In Southwest Indiana and Southwest Kentucky! C&E has always been able to provide you with Siemens motion and control products. In addition, we are now authorized to distribute Siemens automation products. Because of this announcement C&E will be providing customers with training, workshops, and webinars on the new products available. 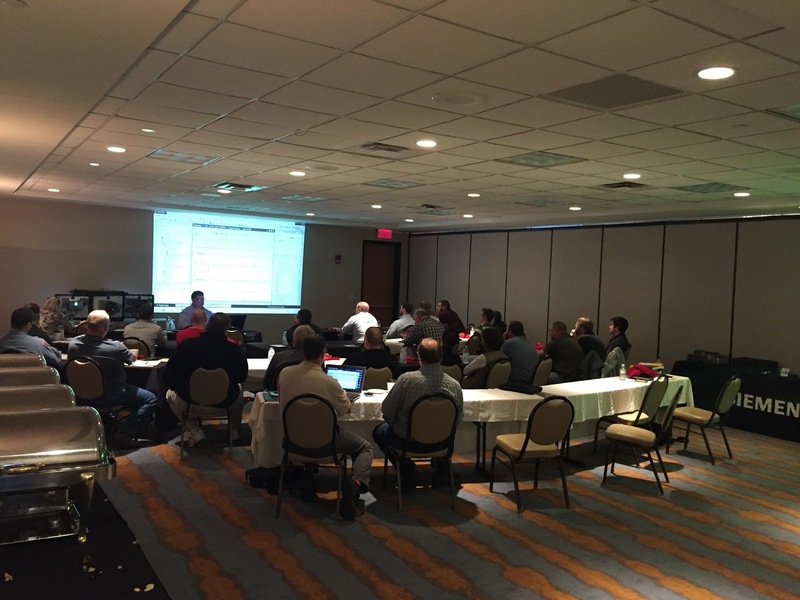 Recently, we've hosted a Siemens S7-1200 and S7-1500 PLCs Workshop in Evansville, IN and Louisville, KY and will be in Owensboro, KY next Tuesday, 3/29. In this training, Brad Hart, one of C&E's Automation Specialists, covers the S7-1200 and S7-1500 platforms, Basic and Comfort panel HMIs, and how TIA (Totally Integrated Automation) helps you achieve Engineering Efficiency using one GUI to completely integrate your PLC, HMI, Drives, and Safety Control in the same project. SIMATIC S7-1200 - this is a modular space-saving controller for small automation systems that require either simple or advanced functionality for logic, HMI, and networking. It is both compact and highly powerful, especially in relation to its real-time performance. It is fast, features great communication options, and is programmed with easy-to-operate, easy-to-learn software. CLICK HERE for future events and registration information! Pictured here is the Siemens S7-1200 & S7-1500 PLCs Seminar, hosted in Louisville, KY. There was a great turnout and we look forward to many future events.